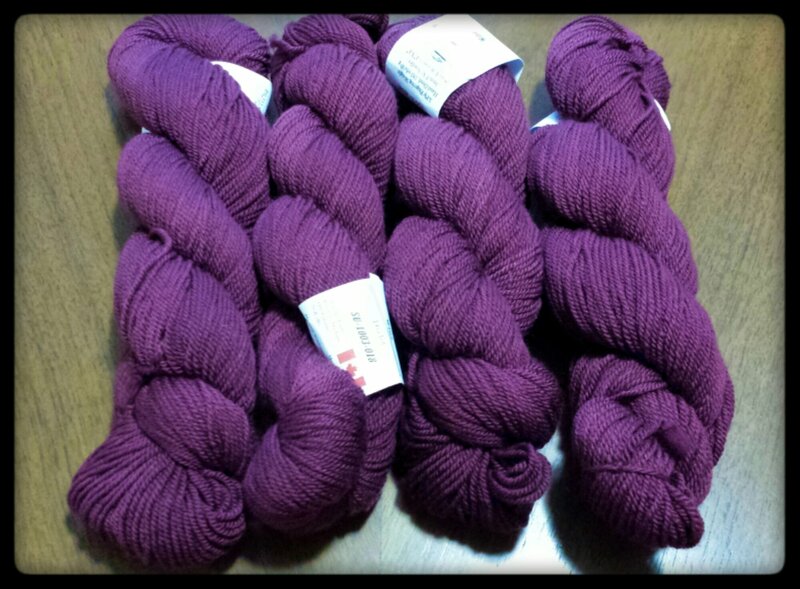 My beautiful, beautiful yarn has arrived! 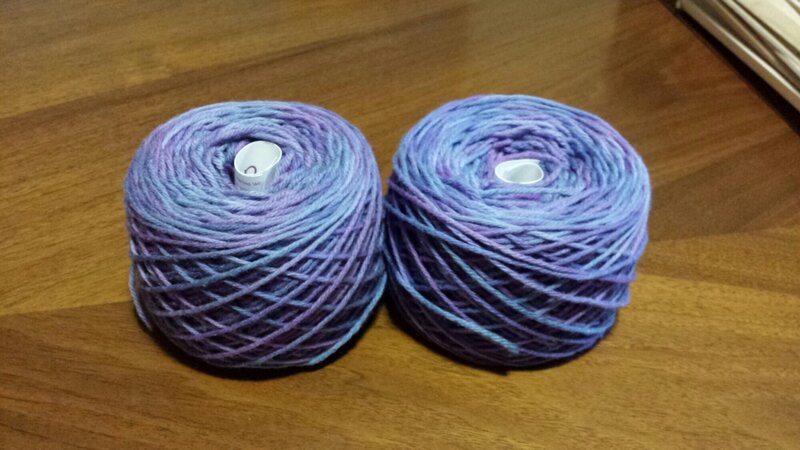 The package on the left is from Fabulous Yarn, and the one on the right is from Shelridge Yarns. I was tickled to see the French writing on the Shelridge package. I don’t buy from Canada that often, so I was kind of surprised. Makes sense, though! Up first is the Soft Touch Ultra from Shelridge. I won a $25 gift certificate, so I used that towards this purchase of 4 hanks in the “Wine” colorway. It’s redder in person, and it’s going to be a Christmas dress for Kirsi. 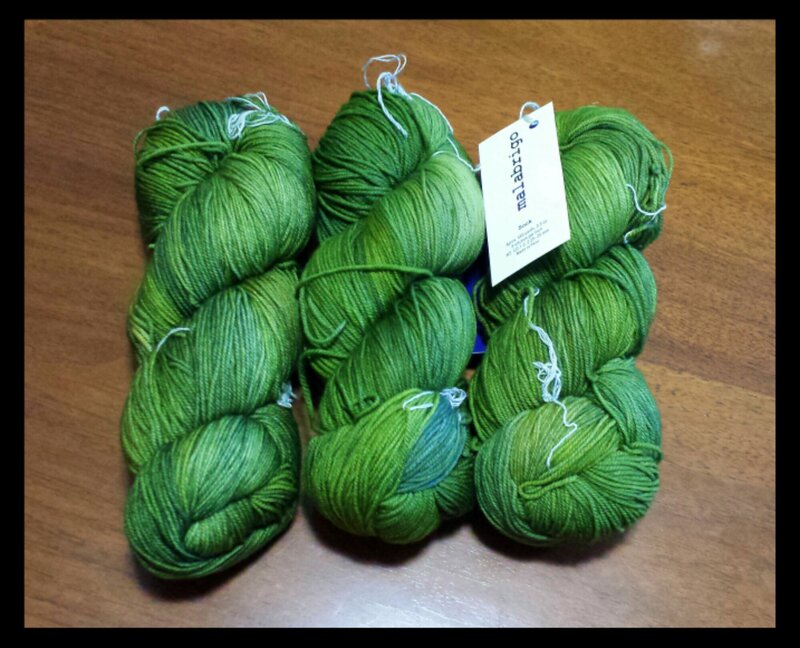 Next is some Malabrigo Sock in the “Ivy” colorway. This is destined to become a Christmas dress for Eva. Finally we have some MadTosh Vintage in the “Onyx” colorway. I’m planning to make myself a simple shawl with this. I’d like to have one for the winter. 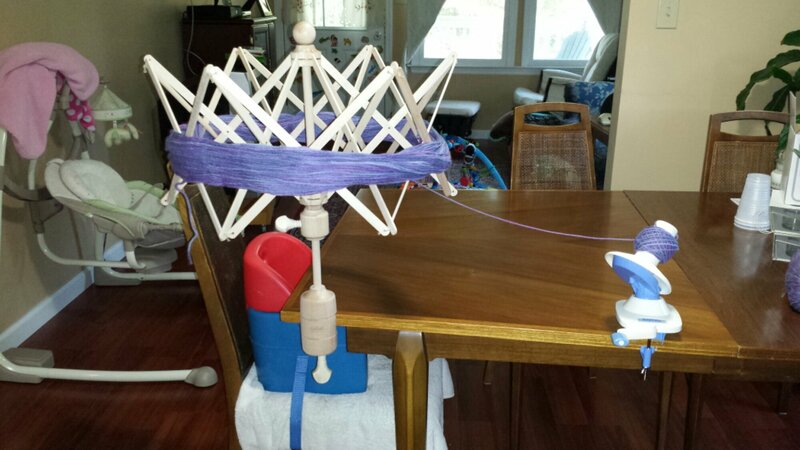 Since this is my third blog post for the day, I should probably get off my phone and start knitting. I’ve got a lot accomplish! Categories: Crafting, Knit | Tags: craft, knit, yarn | Permalink. Since Kai was on babywatch today, I took a trip out to Hobby Lobby to pick up some supplies. A friend of the family has requested a crochet Christmas tree similar to one her grandmother made years ago. I did some research on Ravelry and decided that this pattern was the closest match to the tree in question. 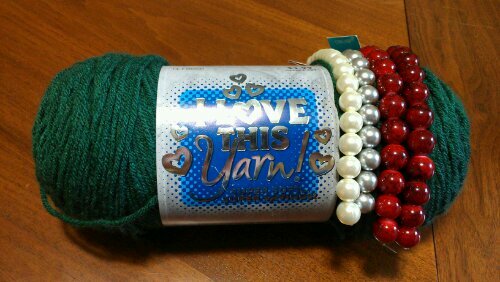 Since I don’t have any green acrylic in my extremely large stash, I had to pick up a skein plus something to use as decorations for the tree. 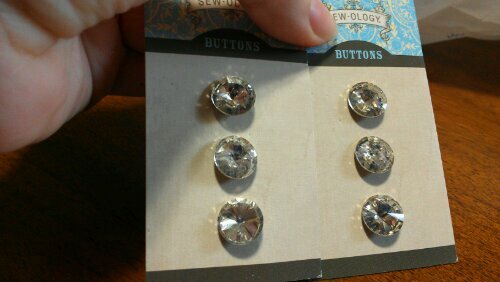 After a half an hour (seriously) of scouring the bead section, I decided on the combo you see above. I’m not jumping for joy over my selections, but they’ll do. I just couldn’t find anything in particular that spoke to me. Since the beads are made of glass, they are a bit heavy. I’m thinking I’ll have to weight the base of the tree when it’s finished. Come on, did you think I'd leave without these?? Now I have to knit some garments so I can make use of my new treasures! 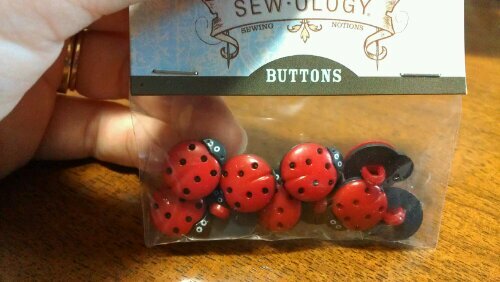 Categories: Crafting | Tags: beads, buttons, crafts, yarn | Permalink. 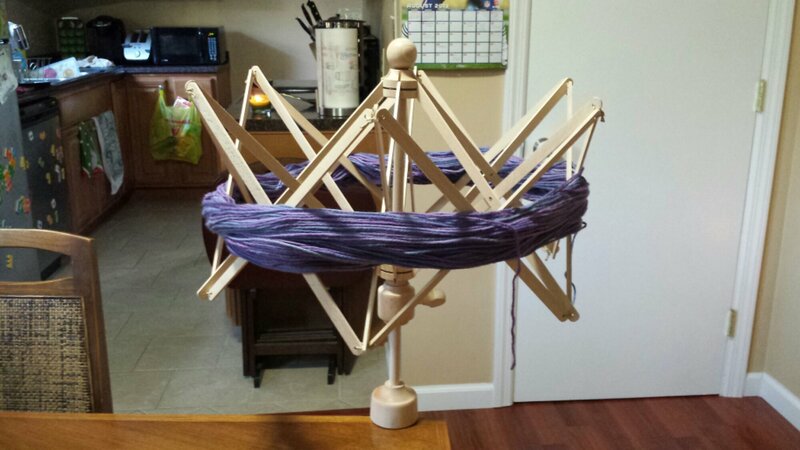 First up, 6 skeins of Simply Cotton Worsted in “Dogwood Heather.” It’s intended for a basic raglan pullover for me. 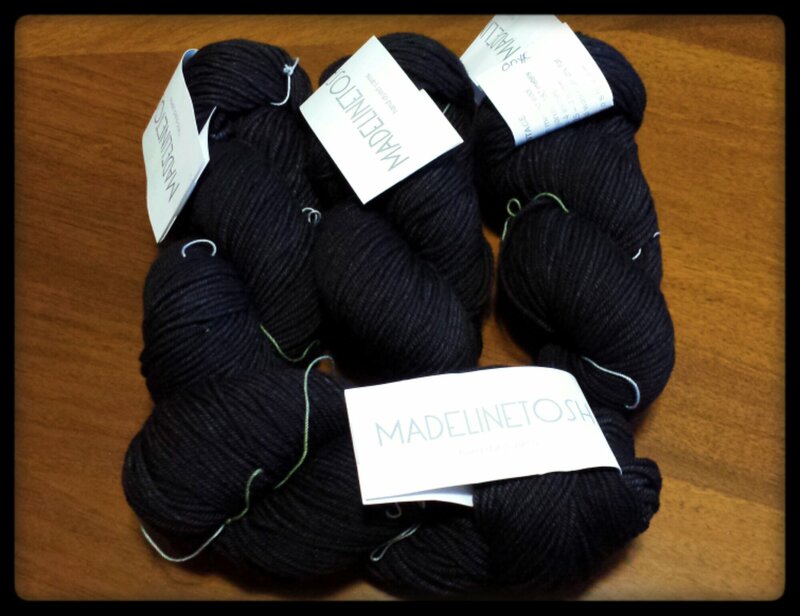 Then we have 6 skeins of CotLin DK in “Planetarium.” These are intended for a lace yoked summer pullover for me. 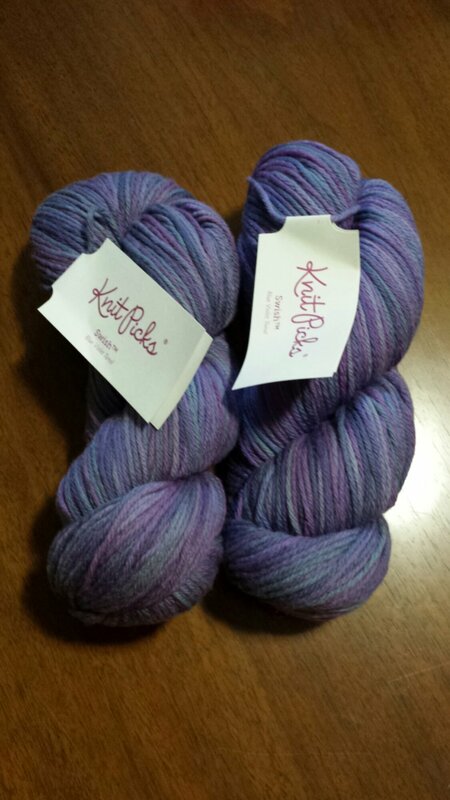 Up next are 2 skeins of Simply Cotton Worsted in “Bermuda Heather.” These are intended for a lacy summer cardigan for Eva. Here we have two skeins of Simply Cotton Worsted in “Duchess Heather” and one in “Haze Heather.” They are intended for a summer cardigan with picot edging for Eva. Finally, we have the real reason for my order, a book I’ve been after for a while. It’s called Finishing School: A Master Class For Knitters. I need a ton of help with finishing, so I’m sure it’ll be money well spent. 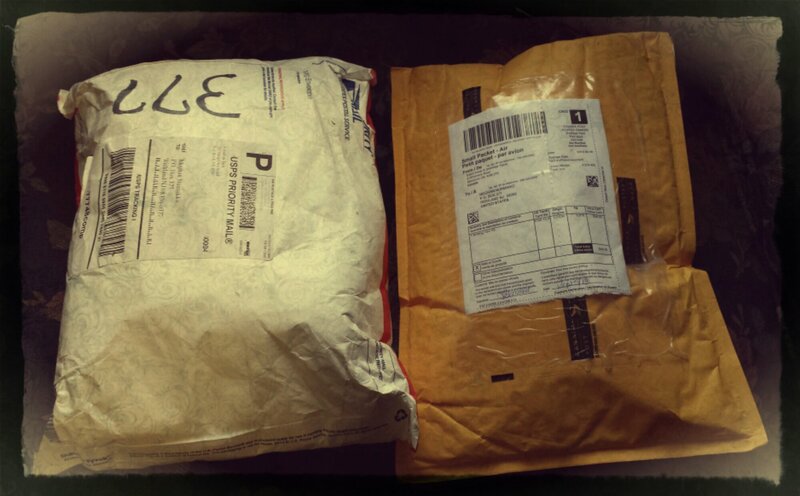 Getting packages makes my day. 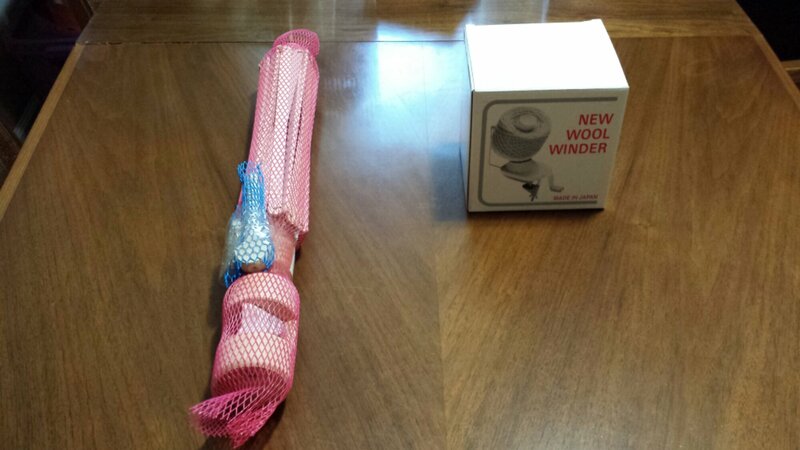 I can’t wait to use my new goodies! 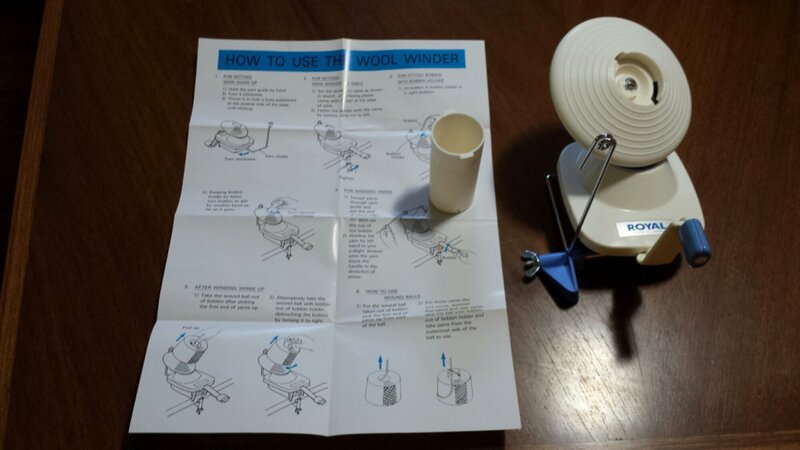 Categories: Crafting, Knit | Tags: knit, knit picks, yarn | Permalink. The eyes are safety eyes, the nose is made from embroidery floss, the feet pads are made from felt, and the ears have fabric lining. I’m not too thrilled with how this turned out. I’m really bad at seaming, not too good at embroidery, and so-so at crocheting. I’m afraid the ear lining will fray since the edges aren’t turned under (per the pattern, you’re just supposed to cut them out and sew them on). I sat the little bunny on our end table by the couch until Eva is old enough to be interested in her. Categories: Crafting, Crochet | Tags: amigurumi, baby, bunny, cotton, crochet, rabbit, toy | Permalink. 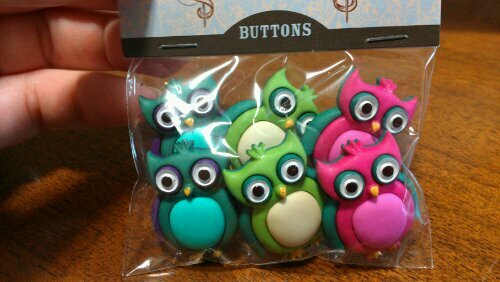 As you can see, I bought a ton of things to add to my crafting stash – in particular, animal eyes and noses. I want to start making Eva stuffed animals, but my embroidery skills are horrendous. I’m looking forward to adding amigurmi to my repetoire, and I can’t wait to share my first project with you! Categories: Crafting | Tags: crafting supplies | Permalink.